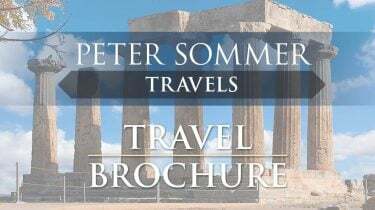 Average rating 5 out of 5 from 372 reviews for Family Tours in Greece, according to AITO reviews. The holiday of a life time - our gulet adventure in the Dodecanese Greek Islands was without a doubt our favourite family trip. The comfort and beauty of the gulet, the incredibly caring crew, the delicious food, the history we learned from our competent and friendly leader, along with the stunning beauty of the islands. Swimming in the most gorgeous coves, kayaking on crystal blue waters, hiking around ruins and into small remote villages and relaxing on the boat... it was the best trip ever. What a wonderful experience! The two tour leaders who were archaeologists enthralled us with the history of the Islands. The food was bountiful. On the boat the meals were wholesome and delicious. We were treated to wonderful meals on the the Islands that let us sample each Island's speciality. There was free time on each of the Islands that allowed for shopping, exploring or sitting round watching island life sipping a drink! 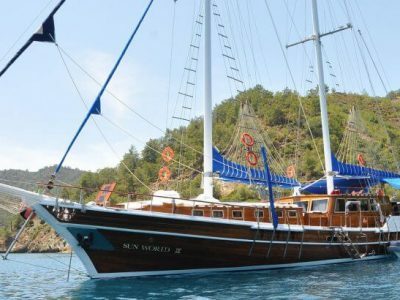 The accommodation on the gulet was more than adequate with rooms being serviced everyday. There was ample deck space to lounge, reading or talking. The staff on the Gulet were lovely and attentive. Excellent.